Decided to write about another week, when I tried to work at home. This time I’ll tell about my new project (I work on it parallel Bearslayer), where I’m learning pixel art and also will do level design. This week was about only drawing basics for the level editor, to test the main idea. A bit more about the game I’ll tell when the first level will be ready. Got an idea about what I want to see (at least I think, that I know what I want). I started with the sketch for the background. I was so taken over with the idea, that went to sleep late. The hardest part for me actually was the colour choice. I still was so excited, that even after a sons nap (while I was pixeling) I wanted to continue, so I had a brilliant idea of how to get extra minutes. At the moment my son really loves to play with kitchens kettle, spoons and bowls, so I gave him a bit of water and uncooked pasta. He was so excited, that actually I got extra 30 minutes (it’s a lot of time, for mom, when he let me do what I need, without him) just needed to add more water time after time. The only difference was my “workstation”, he never let me sit at the table and use a computer, instead of that, I decided to work in the kitchen, standing at the counter. Extra bonus for work in the kitchen is that I can look after and cook dinner at the same time. 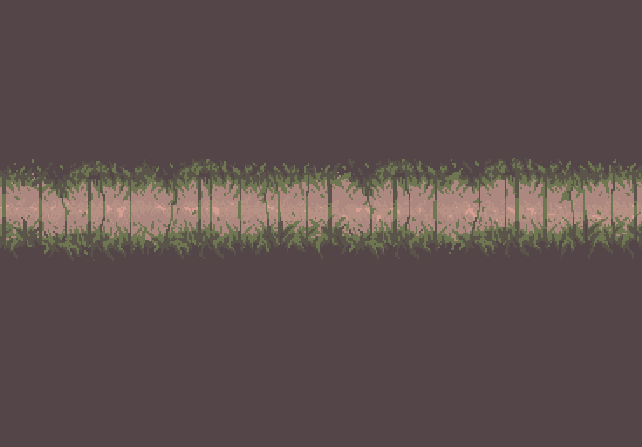 Decided to create a tileset. Today I felt smarter because I was ready to add water again to my sons playing dishes and hoped for extra time while he isn’t sleeping a nap. It worked, not for so long, but still, it worked. 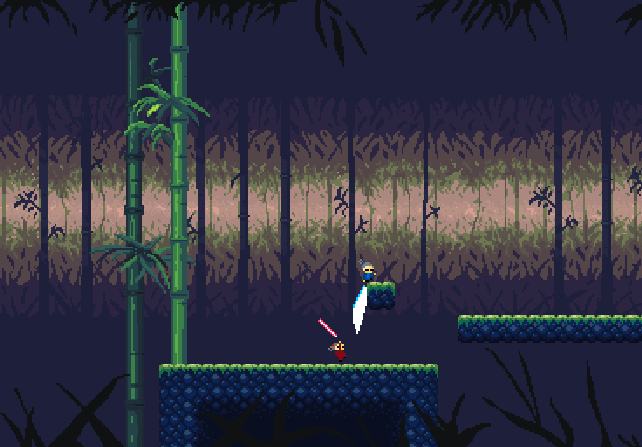 As I’m not an artist, especially experienced artist the tileset was a big challenge for me. And those colours again… I knew, that it’s only a test, a demo for the game, but I really wanted, that tiles and other important objects can be well differentiated from the background to avoid from big pixel mess. 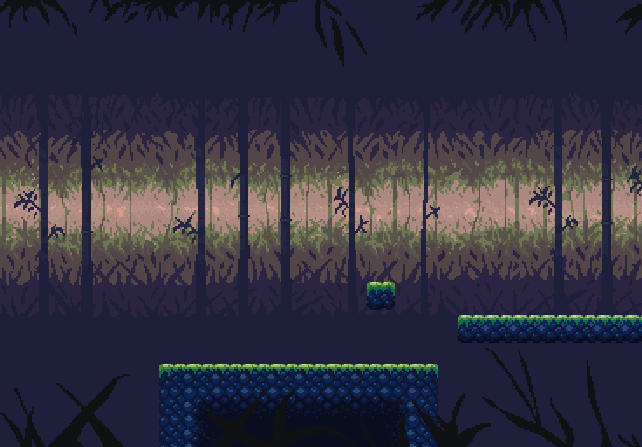 I was decided to make 16×16 pixel tiles, because of lack of time to polish it after the demo will be ready. You can see the result, but I’m not happy with that. Someday definitely I’ll redraw it. Old me (me before the kid) would be polished it till the sunrise. Now my main goal is to finish at least something, even I’m not happy with all result. Character. Actually, the game will be multiplayer, where you’ll fight against another friend or more than one friend, so there isn’t only one main character, but at least four from which to choose. I had one from previous training and decided to save the time and just to recolour it to be more suitable for this environment. I was so tired that worked only in the middle of the day, not in the evening. All I did was just character colouring and some decorations. Actually, for the demo and testing, it’s totally enough. Still worked in the kitchen. In this weekend Global Game Jam happened, and as it’s not really possible to jam for me I just kept up what happened and was really happy to see so many people this year, especially so much woman as never before (I’ve been on every Global game Jam in Riga, but mostly as an organizer, not jammer). 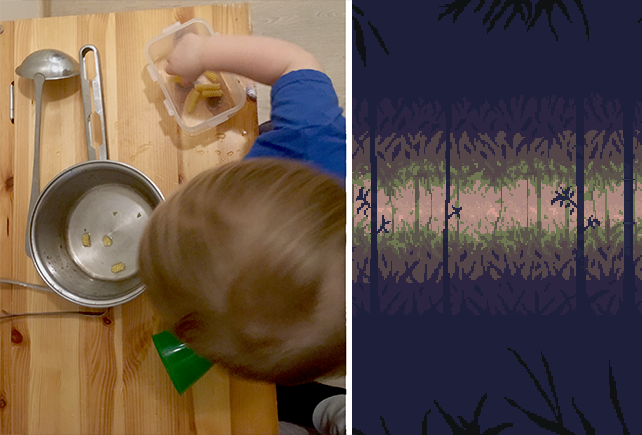 In the middle of the week, I really wanted the demo to be done, but Global Game Jam is only once in a year, so in our family plans was to see the final presentations on the place of the event and to feel that mood by our selves, but sadly our son started to be loud and disobedient right then when presentations started. We got some angry sights about that and decided to go home. So didn’t see the presentations and no more power to create a demo. Just Family Guy on Netflix and sleep. Feel that I’ve done a lot and a few at the same time. Šis raksts tika izveidots 29, 01, 2019 pulkst. 1:29 am	ievietots gamedev, Spēles. You can leave a response, or trackback from your own site.